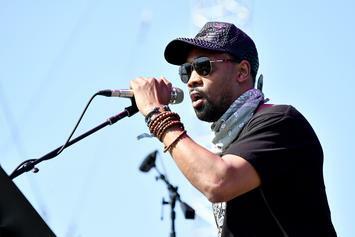 RZA needs to learn to pay his employees. 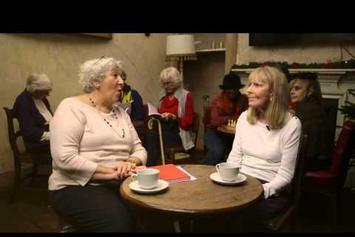 The Wu-Tang Nans announce the Wu's new UK tour. 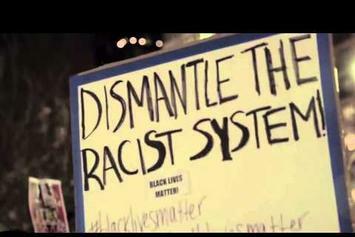 Wu-Tang Clan compiles recent protest footage for their "A Better Tomorrow" video. 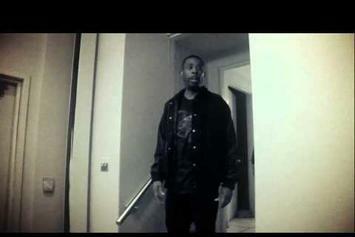 Wu-Tang Clan share a trailer for their new album "A Better Tomorrow." Stream Wu-Tang Clan's "A Better Tomorrow"
Wu-Tang Clan let us hear the new album "A Better Tomorrow" before it drops. 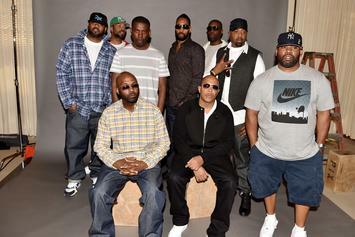 Here goes the title track for Wu-Tang Clan's "A Better Tomorrow." 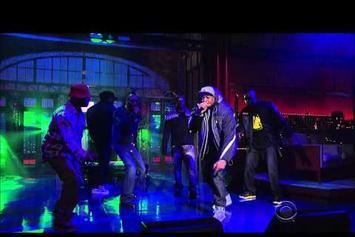 The Wu makes an appearance on The Late Show. RZA Invested A Lot Of His Own Money In Wu-Tang Clan's "A Better Tomorrow"
RZA speaks on investing a lot of his own money in to Wu-Tang Clan's new album "A Better Tomorrow." 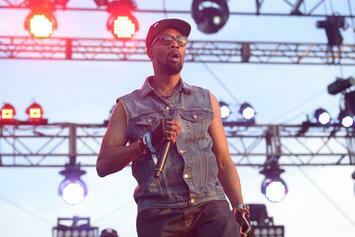 Peep a new single from Wu-Tang Clan's "A Better Tomorrow," "Necklace." 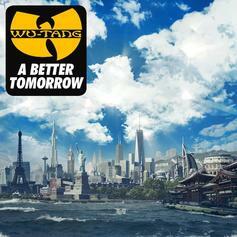 Wu-Tang Clan unveil the cover artwork for the upcoming album "A Better Tomorrow." 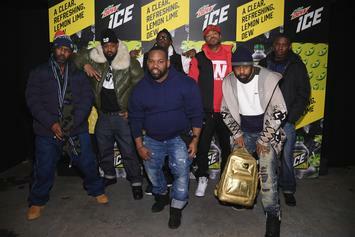 Wu-Tang Clan inks a new record deal, and announce an official release date for their new album "A Better Tomorrow." 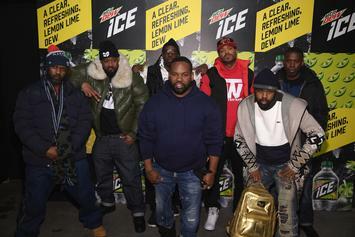 Eight new Wu-Tang Clan tracks will be available on a portable speaker on Black Friday. 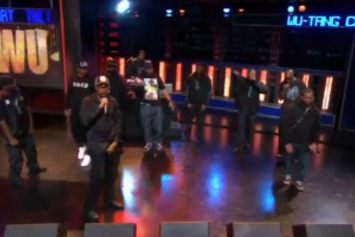 Wu-Tang Clan perform a new record "Ron O'Neal" on The Daily Show. 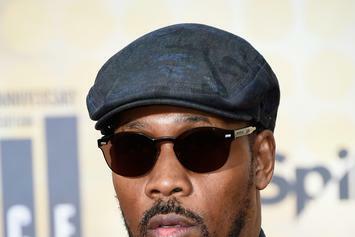 RZA Says Nobody Else In Wu-Tang Clan Has Heard "Once Upon A Time In Shaolin"
RZA compares the upcoming album to the Mona Lisa and Michelangelo's David statue. 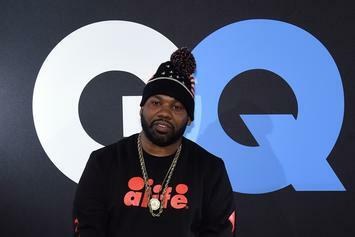 Raekwon vents his frustrations with the current state of the Wu-Tang clan in an interview with Rolling Stone. 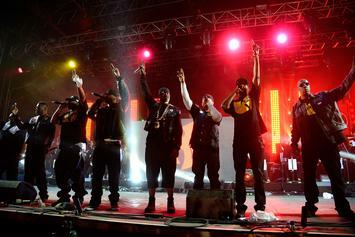 Wu-Tang Clan's reunion album is going to be called "A Better Tomorrow."